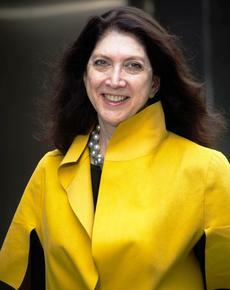 Shelley H. Metzenbaum is the founding President of the Volcker Alliance. She has held several senior positions in federal and state government. Between 2009 and 2013, she served as Associate Director for Performance and Personnel Management at the White House Office of Management and Budget, where she was responsible for setting and implementing the Obama Administration’s approach to improving the performance of federal programs. She previously served as Associate Administrator for Regional Operations and State/Local Relations at the U.S. Environmental Protection Agency, and Undersecretary of Environmental Affairs and Director of Capital Budgeting for the Commonwealth of Massachusetts. Dr. Metzenbaum has also held notable posts in academia, most recently serving as founding director of the Collins Center for Public Management at the University of Massachusetts Boston’s McCormack School, and prior to that, as director of the Harvard Kennedy School’s Executive Session on Public Sector Performance Management and visiting professor at the University of Maryland’s School of Public Policy. Dr. Metzenbaum is recognized as one of the nation’s leading experts in the field of public sector performance management and measurement, and has authored numerous publications, articles, and case studies on performance management, leadership, and accountability. She is a fellow of the National Academy of Public Administration and holds a Ph.D. in public policy from Harvard’s Kennedy School of Government.